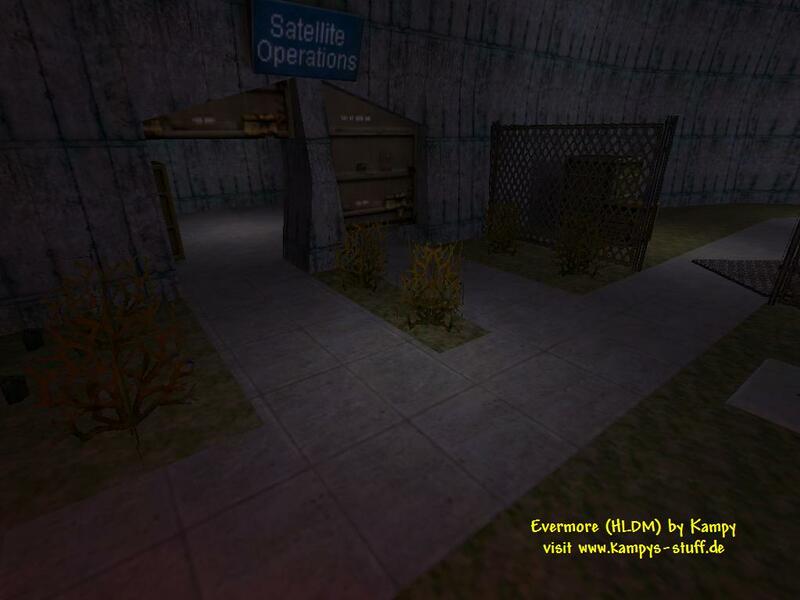 In this medium size map there is an outside area and two lab parts. 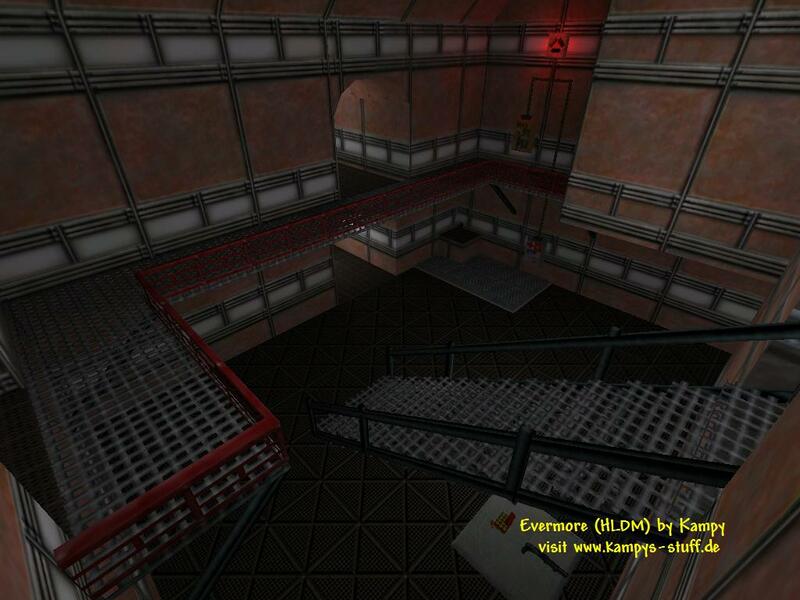 The connectivity is great, since there are teleporters and a bridge which connect both labs and the outside area. There's also a powerful cannon installed at one of the outside walls which can be used from one of the labs. 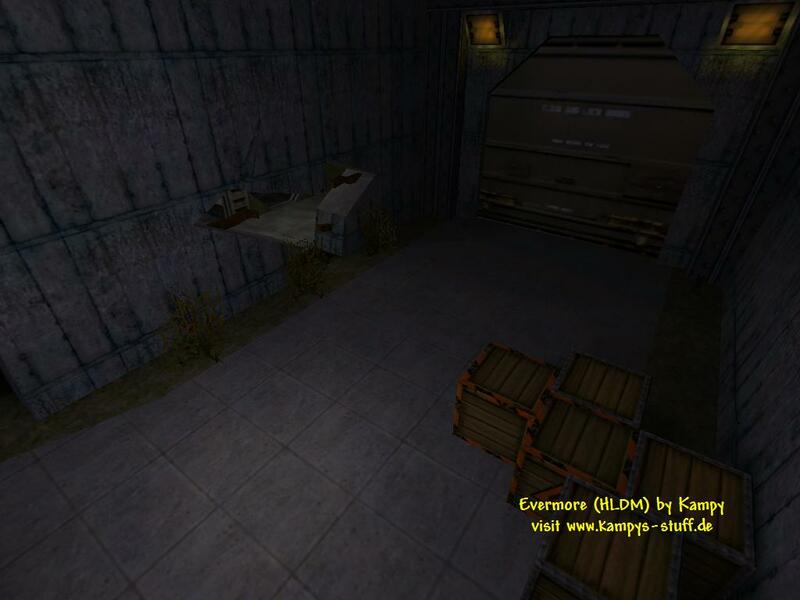 The map plays decently, the weapons and items are placed well without an imbalance in importance of the map-parts. The grafic looks nice although there is nothing which I would call sophisticated achitechture. There is a bug at the vent, the func_doors flicker in the wall when they are opened, but thats it. The atmosphere is pretty good I think, I like the broken fence and the bridge plus the good use of unknown standard textures. Evermore has been Level of the Week at PHL when Mikee still did them. I think this map is good enough to recommend it to all of you. - There are grenades for the machine gun in the waterplace. - To get the LongJump open a small door of a vent near the taucannon. you will find AR grenades in it.